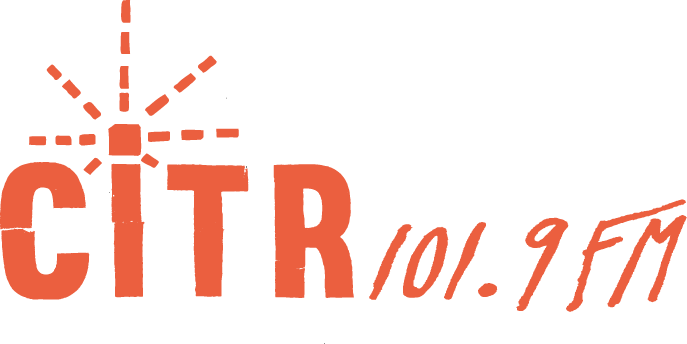 Rockers Show / Playing the best in roots rock reggae, Dub, Ska, Dancehall with news views & interviews. 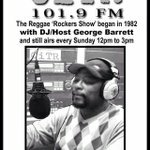 George Reggae Barrett Celebrating another 336 years Rockers show on CITR 101.9 FM Radio Host Dj, Concert Promoter. Sound system Operator. Born and raised in the oldest inland Town in Jamaica, Bath St Thomas, about 45 miles from Kingston. My passion for reggae music came at an early age. My home where my mother runs the family business was next door to Robert Night Club and Tavern. On the weekends they held big dances in the Night Club. As a boy, I could not go to the dances but I used to go to the club and watch them string up the sound system before the dance starts. In the Tavern by day, Calypsonian Count Lasher used to grace the bar with his music. In those days I used to listen to sound systems such as Barlow Sound, Daddy Nick, Mellow Canary, Merry tone Disco, Danny Lou, and Phoenix the Ghost. About the age of 12, I decided to keep kids dance in my backyard and I invited some of my friends. I used some of my mother Salt fish and Red Herring box as my equipment. I heat half inch steel iron on the fire and used it to burn marble size holes in one side of the Red Herring box then I fill the holes with different colour marbles. Then I put lighted candles in the box so it would look just like an amplifier that I saw over at the club. For the speaker, I bore a lot of holes in the Salt fish box; I put two of my friends Ricky and Mickey in the box and I told them to sing out loud. Everyone was laughing to hear the boys sing. The first human speaker was invented.